Today started as a normal day at the agency – we had tenants moving out…and we had tenants lined up ready to move in. Or so we thought. So we’ve been waiting for the tenant who is due to move out to call us back. We needed confirmation of his moving time so we could organise the end of tenancy check out, ensure the property is up to scratch and get everything ready for the next tenant coming in. So we’ve been calling him, texting him and emailing him for over a week to try and get this scheduled. Given the quick turnaround times we operate on, we have to ensure everything is ready for the incoming tenant. So today was the day when the tenant was meant to be moving out…and still no word. Until we get a call from a nurse at the local mental health hospital. “Hello, is that Gorgeous Homes, I am calling to let you know we have one of your tenants as a patient in here. Unfortunately, he has been sectioned under the mental health act and will not be able to move his belongings. He has been detained here and we do not have a date for his release” the nurse says. We had to work quickly to ensure the tenants who were due to move in had somewhere to stay for the time being – after that, we had to work out who was our tenant’s legal guardian – did they know what had happened? Fortunately, on our application form we always take details of who to contact in the event of an emergency. To many tenants when they complete this information, it may seem like just another box to complete. However, this information is vital – if something ever happens or happened to your tenant – who would you call? 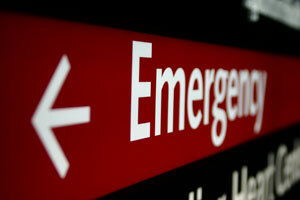 Emergencies, by their very nature, are unplanned. The best you can do is try and plan for if that emergency ever happens. Get that emergency contact today. That was a very constructive and useful reminder Sam. thanks. Good advice- a tenant died unexpectantly a couple of weeks ago, family all abroad, coroner won’t give me details of next of kin, no answer from my note through door (as I was told by coroner family were due to go to the flat), no one to contact. DPS need death cert or proof of power of attorney to release deposit to anyone-rent came out if his account last week- I’m at a loss as this has not happened before! Do I serve a section 21 on a dead man?! If they don’t remove belongings, when can we remove them and re-let the flat? Claire, given this is a sudden death and you have received the rent I would be inclined to give the family time. I think you need to establish who the legal guardian is before you can do anything further. I wish someone would section me!!! The thought of someone else taking total charge of me, also three hots and a cot. Sam, what was the outcome in the end? Were you able to get your new tenants in? I had never thought of next of kin information before I read this; thank you! Hi, we met with the parents at the property at the weekend who then moved the belongings and we moved the new tenant in today!! Glad that this post was of help – this sort of information is so easily overlooked!